Knoxville, Alcoa, Pigeon Forge, Norris, Clinton, Gatlinburg, Maryville, and much more!! There’s not event to small or large. We cover them all!! 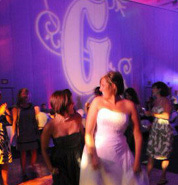 We offer Wedding and Party Planning, Karaoke, Professional Sound Systems, Master of Ceremonies. We understand the importance of professional and experienced entertainment. Our energetic staff is committed to working with to provide the most professional service to our clientele. 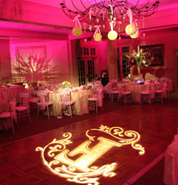 We offer from production scale: Up lighting, dance floor lighting effects, and video dance parties. But, we also, offer smaller scale. Such as birthday parties, pool parties, house parties and block parties. We are confident that we have an entertainment package that will fit your needs. 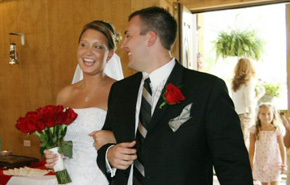 We want to help make your wedding day perfect. With so many details that need your attention, put your mind to rest, and let us handle the music and entertainment for you. 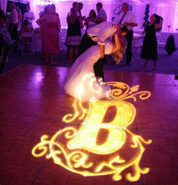 Uplighting and Logo projection is a new and exciting feature to add to your wedding or event.